Rooting an android device unlocks various restrictions and also increase the performance of the device. 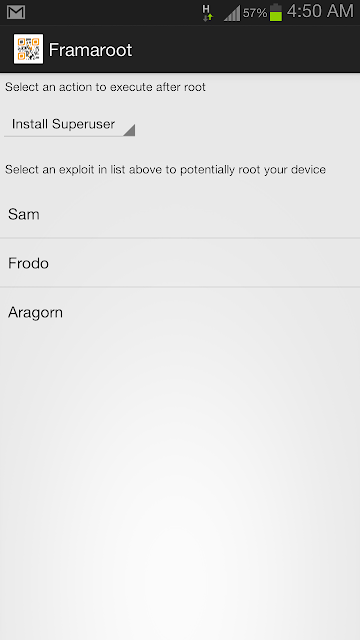 There are some apps which required root access. Rooting an android phone can be a time taking process . Today we are going to show you the Fastest way to Root almost any android phone without a computer. WHY DO WE NEED TO ROOT ? Everyone with an Android phone has got into a dilemma of whether to root their phone or not. While The advantages of rooting are many but a single mistake can harm your device. Rooting an Android phone helps unlocks the many restrictions and unleash the full performance of a phone. With one click this app can install the Superuser and Su binary on your phone . Framaroot currently supports phones with Android versions from 2.0 to 4.2 .This is one of the easiest and fastest rooting methods. 1. Download the Framaroot app to your phone. 2. Copy Framaroot to your phone memory. 3. Install Framaroot from the apk file. 4. Choose “install Superuser” option inside Framaraoot. 5. Select any of the exploits that appears in the app and wait for some time. 6. 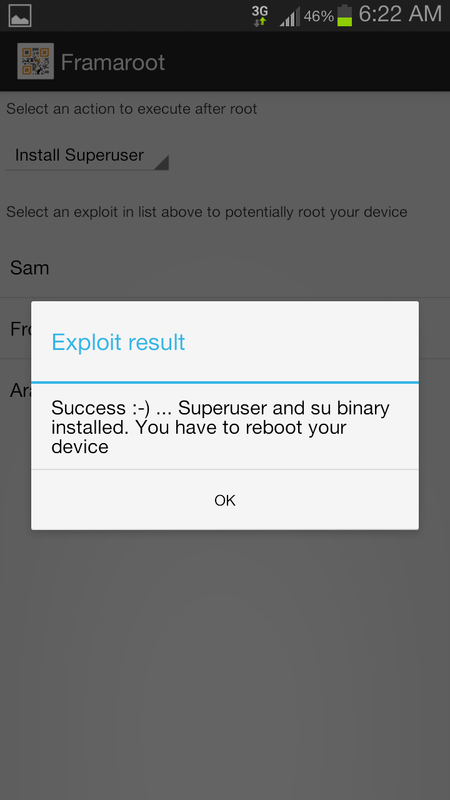 If you see a “Success … Superuser and su binary installed.You have to reboot your device” message then you have successfully rooted your phone. 7. If you see “Failed … Try another exploit if available” message then try selecting another exploit.